Wordage.info is a new, free tool for word exploration and discovery. It combines a dictionary, a thesaurus, spell checking, and natural searching to find words that are related to the word(s) you search. 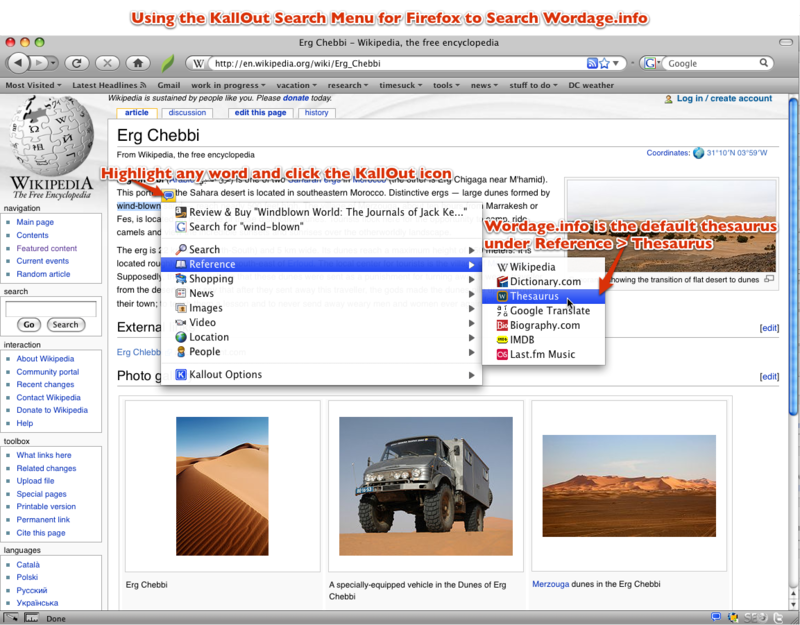 You can use the search field to describe a word you're thinking of, and Wordage.info will help you find it. Wordage.info is inclusive, non-authoritative, and based on open source dictionary, thesaurus, and spell checking tools. Although Wordage.info is in beta development and you may encounter errors, please feel free to try the form above to explore and discover words. Just type a word or a few words that are similar to what you're looking for. Please contact us at wordage@wordage.info if you have questions or comments, and join the Fab Apps email newsletter for news about Wordage.info. Wordage.info is on Twitter! Follow wordage for new words daily and Wordage.info news. A random new word every day at 11AM EST.